Brand Guru, Jagdeep Kapoor is the Chairman and Managing Director of Samsika Marketing Consultants, Mumbai, a leading brand strategic marketing consultancy with an impressive list of clients drawn from both multinational and Indian firms. Samsika has successfully entered its 17th Anniversary year. Dr. Shroff Eye, Lubrizol, Relaxo Footwears. 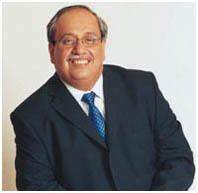 Respected as a “Brand Guru”, Jagdeep Kapoor is a prolific writer and has published over 1611 articles on brand marketingand sales in newspapers and magazines such as Economic Times,The Afternoon, Business Today, The Hindu Business Line, Business World, Deccan Herald and The Times of India. The author of several successful books, his earlier books titled “24 Brand Mantras, “24 Brand Mantras – Second Edition”,“24 Brand Mantras Hindi Edition”, “Brand Serve”, “Brand Naamkaran”, “18 Brand Astras”, “18 Brand Astras – Hindi Edition”, “9 Brand Shastras”, “9 Brand Shastras Second Edition”, “9 Brand Shastras Hindi Edition”,“Brand Switch”, “27 Brand Practices”, “Brand Seg’meant’ation” and “1800 Runs – Brand Sale Khel Mein”, were all bestsellers. edition of 24 Brand Mantras has also been launched. Mr. Kapoor’s book ‘Brand Switch’ has been launched in USA, including the Spanish edition. He is a visiting faculty member at the Jamnalal Bajaj Institute of Management Studies, Mumbai,of which he is an alumnus. He is the visiting faculty member of British Council’s Strathclyde MBA Course. Jagdeep Kapoor has conducted over 801 training programs and has trained over 16200 MBA students and has trained over 23312 Indian Managers. the Council for Fair Business Practices for the year 2002. Award for Academic Excellence in Marketing™, for 10 Years.